Canelo said that while GGG is a solid career middleweight with good power, he does not have “out of this world” punching power. 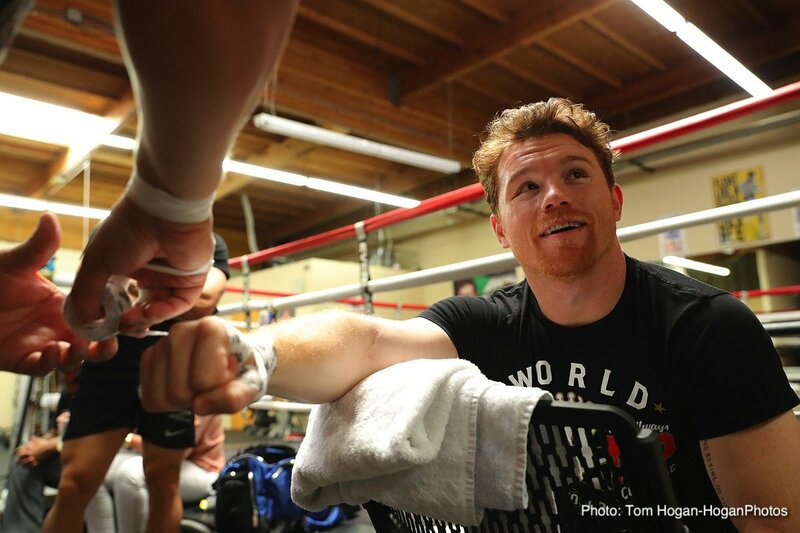 Canelo also explained how he took a good shot, one that “would have knocked anyone out,” during the first fight from last September (a fight Canelo insists he still fully believes he won), a hard punch that landed right between the ear and the neck. The punch drove Canelo into the ropes but did not knock him down, much less out. The first fight was a good fight, though not an absolute classic. Will the sequel, with its genuine bad blood and all its subplots, prove to be a great one? Both men have much to prove, Canelo more so, and we fans hope the two warriors will leave everything they have in the ring in Las Vegas. While a KO does seem quite unlikely, either way, a decisive winner is something that we badly need; the sport needs it. If it’s close and debatable once again, we might see these two rivals duke it out for a third time. Above all, let’s just hope we do not see another draw next month. The sport could far do without that. Previous boxing news: What now for Eleider Alvarez, Sergey Kovalev?